Provides a general description of the competition, the Maryland team, and how you can help us WIN! 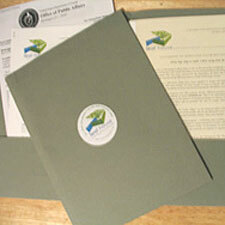 Provides detailed description of sponsor benefits and recognition from the team in letter format. Provides detailed description of sponsor benefits and recognition from the team in matrix format. Provides Solar Decathlon and National Parks Service Rules and Regulations related to sponsor recognition. Acts as appendix to "Sponsor Benefits" and "Sponsor Benefits Matrix." Provides a list of items that need to be purchased. Your financial or in-kind donation will help us obtain these items. 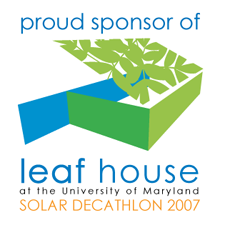 Provides horizontal version of LEAFHouse logo for sponsors to use on sponsor websites. Provides the compressed form of the LEAFHouse logo for sponsors to use on sponsor websites. For sponsors who want a logo with the words "proud sponsor of" on it, please use the following png image or this illustrator (<1MB) file. Use Adobe Illustrator to view files with the .ill file extension.